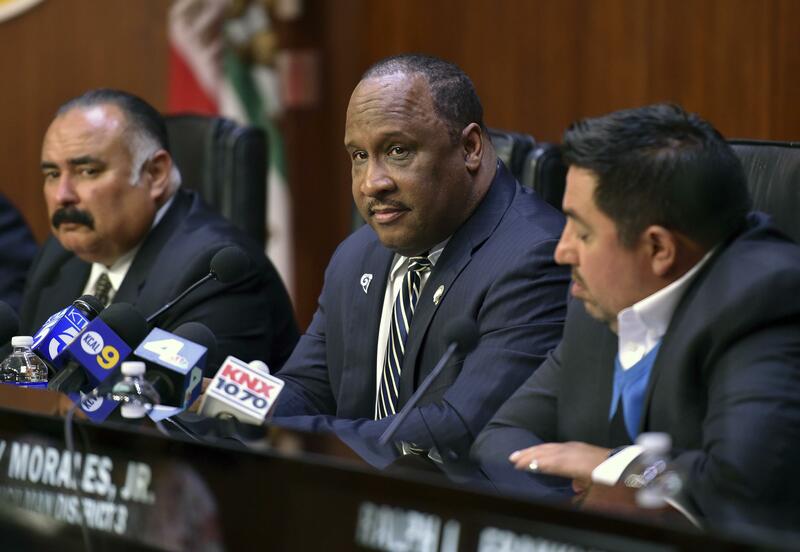 UPDATED: Thu., June 15, 2017, 6:25 p.m.
INGLEWOOD, Calif. – The Inglewood City Council unanimously approved an exclusive negotiating agreement with the Los Angeles Clippers on Thursday that could lead to the construction of an arena for the NBA team across the street from the future home of the NFL’s Chargers and Rams. The arena would be privately funded and no public money would be used for the project, said Gillian Zucker, Clippers president of business operations. However, Ballmer said the Clippers won’t be leaving Staples Center any time soon. The team’s lease at the arena in downtown Los Angeles expires in June 2024, and he said the team wouldn’t leave there at least until then. The agreement calls for a three-year negotiating period, including a six-month extension, during which the team will develop details of its proposed state-of-the-art basketball arena with 18,000 to 20,000 seats. It requires the Clippers to pay a non-refundable $1.5 million deposit to cover costs associated with the planning. The city will conduct an environmental review of the project. The proposed arena would be on a 20-acre parcel of land located across the street from the under-construction, $2.6 billion NFL stadium that is set to open in 2020. The Clippers’ complex would include team offices, parking and a practice facility. Ballmer has been open about his desire for a new arena since he bought the Clippers for $2 billion in 2014. The Clippers share Staples Center with the Los Angeles Lakers, the NHL’s Kings and the WNBA’s Sparks, leaving the Clippers third in choice of dates. They’ve played at the arena since it opened in 1999. Rams owner Stan Kroenke is privately financing the NFL stadium as part of a 698-acre mixed-use development that includes housing, retail and entertainment. The stadium is scheduled to host the Super Bowl in 2022. Published: June 15, 2017, 6:42 a.m. Updated: June 15, 2017, 6:25 p.m.